The Cocktails Anyone? Round 1 collection consists of eight vibrant and super strong linear holos each based off of a different cocktail! All swatches were taken indoors under a combination of Cree Daylight and LED bulbs with a Samsung NX300 camera. 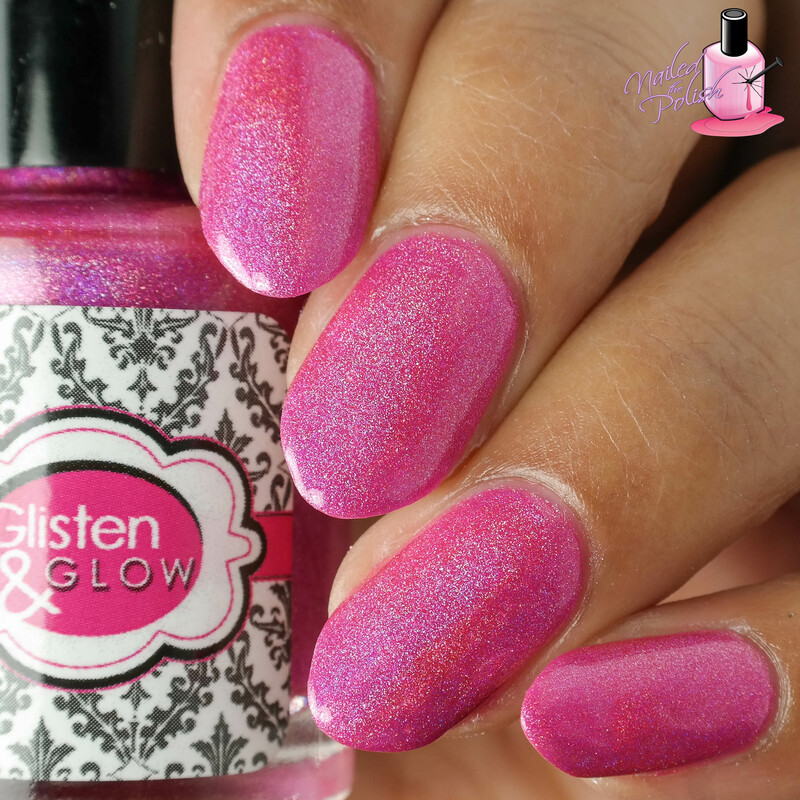 Raspberry Margarita is a bright pink linear holo. Shown here is two coats plus top coat. If you’re a pink fanatic, you’re gonna want this polish! Not only is the shade gorgeous, the formula is just as great! Tequila Sunrise is a red-orange almost copper linear holo. Shown here is two coats plus top coat. No formula complaints. As far as color goes, I’m usually not a fan of red-orange polishes but I feel like this shade really compliments my skin tone! 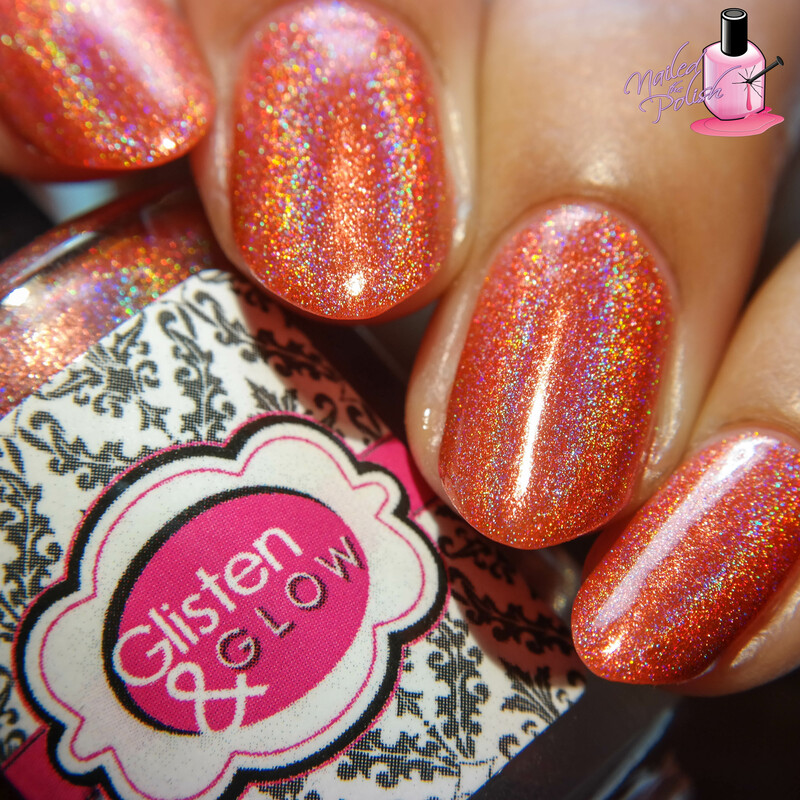 Peach Bellini is a beautiful peachy orange linear holo. Shown here is three coats plus top coat. This polish is a little sheer – I had slight visible nail line after the second coat so I added another coat which covered it right up. Other than that, the formula is very easy to control and has a great dry time! 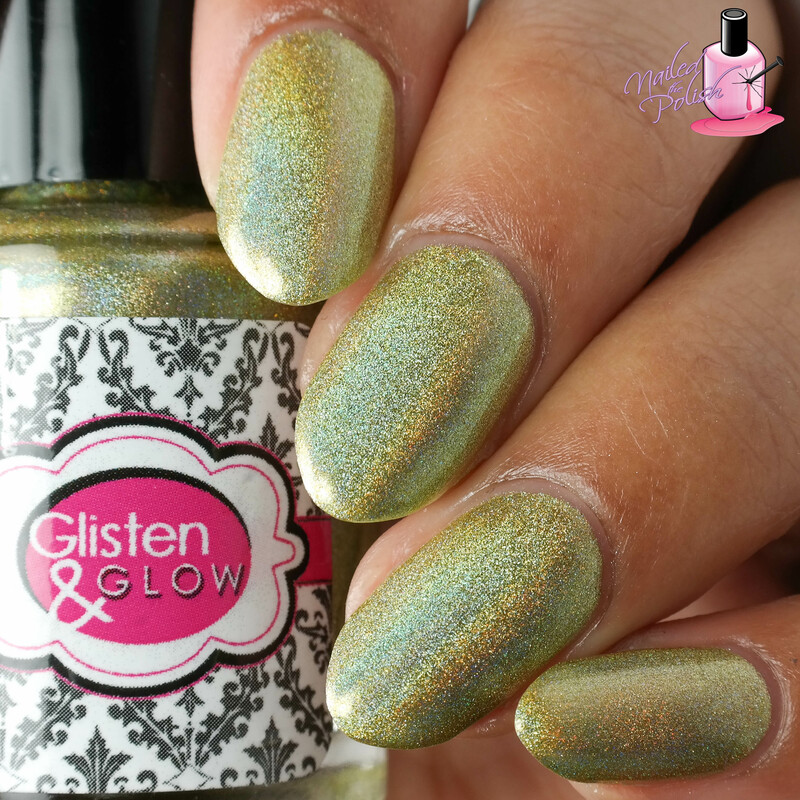 Midori Sour is a chartreuse green linear holo. Shown here is two coats plus top coat. I love this polish! 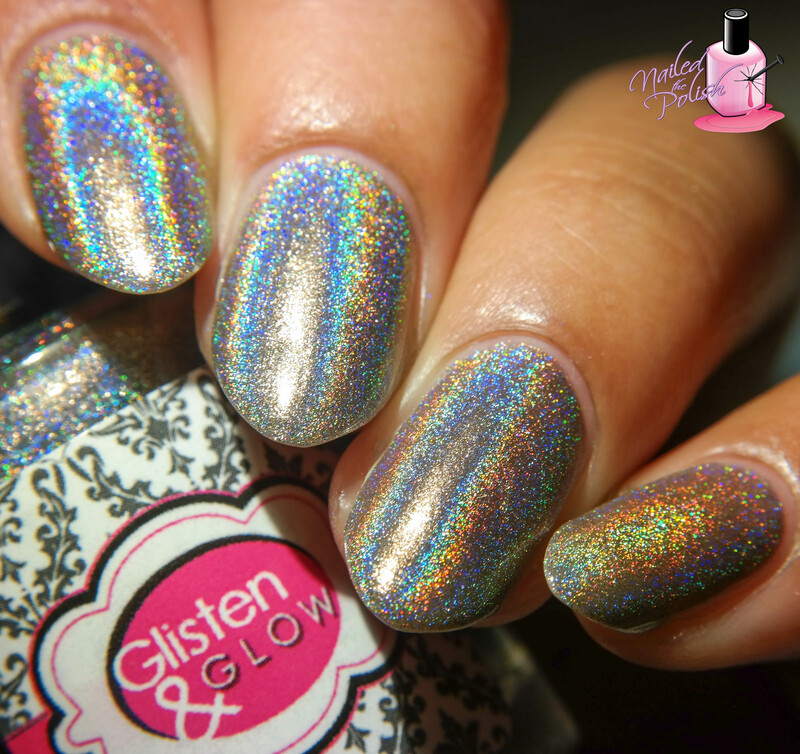 The shade is so unique and it is SO HOLO! Formula is pretty top notch too! 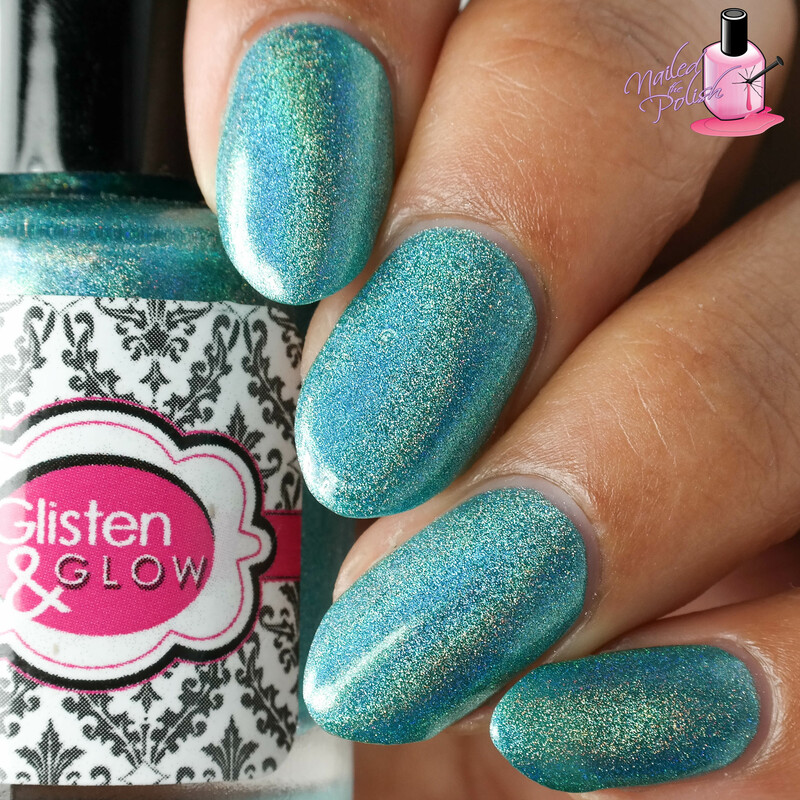 Hpnotiq Hurricane is a gorgeous bright teal linear holo. Shown here is three coats plus top coat. This polish has the same sheerness of Peach Bellini requiring three coats for true opaqueness but it dries quickly and levels very well so I was not bothered by this. You all know that I’m a sucker for teal and this baby does not disappoint! Oh how I love love LOVE this polish! Hpnotiq Hurricane is totally hypnotizing me! 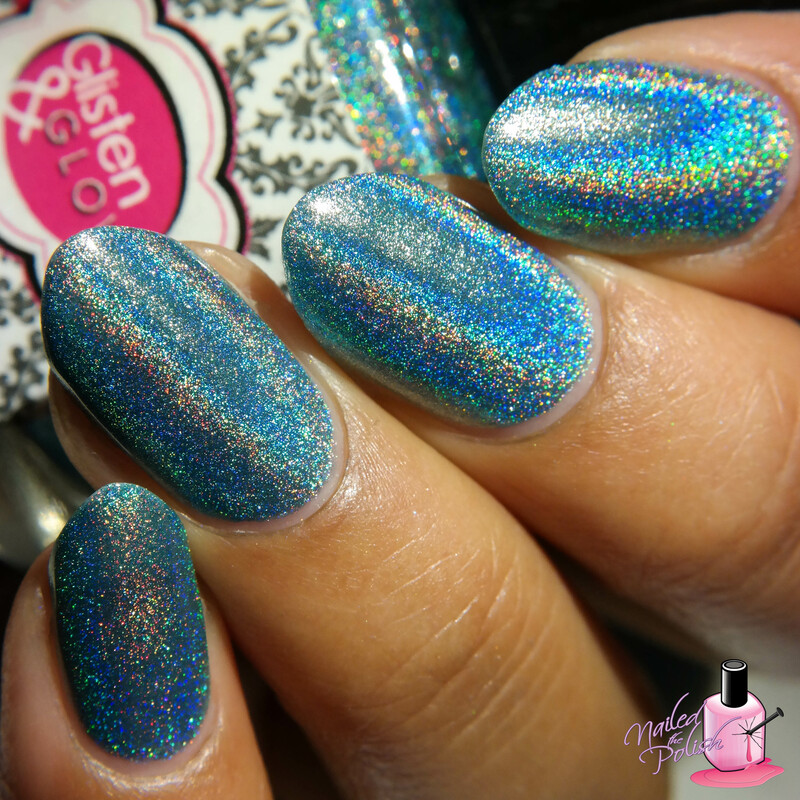 Blue Hawaiian is a light blue linear holo. Shown here is two coats plus top coat. This baby blue shade is jaw-dropping! 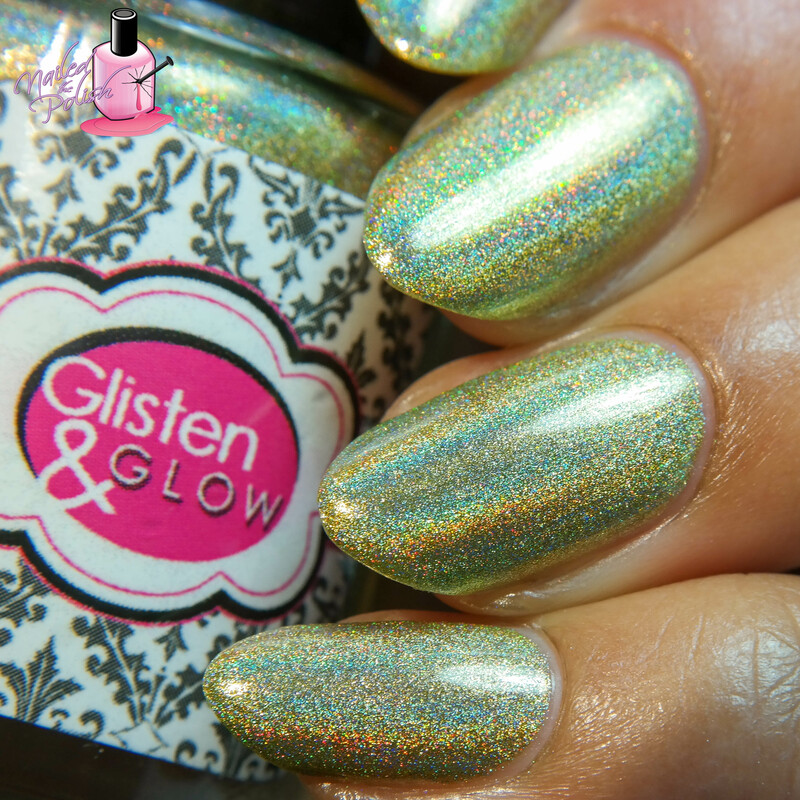 Sometimes with light holos, I find that the holo is so strong that it drowns out the actual color but not here! Even in the most direct of lights, the light blue shines through. I am dying over Grape Groove! 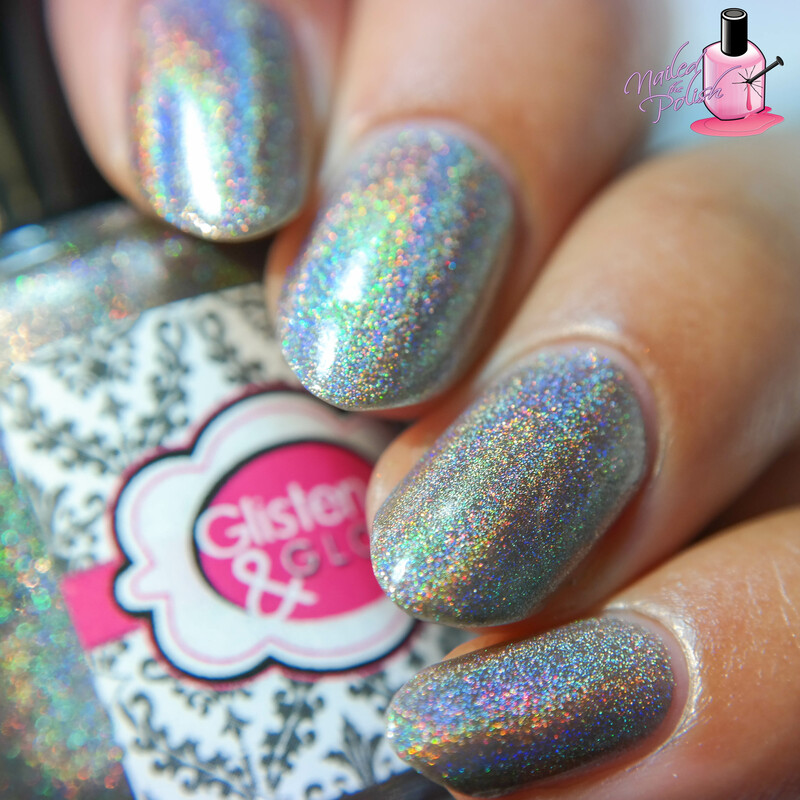 Silver Streak is a very strong light gray linear holo. Shown here is four coats plus top coat. This polish is definitely the sheerest of the collection. I think this is one that you can use alone or as a topper. While I did have to do four coats, this polish dried very quickly and leveled perfectly. While I am usually completely against polishes that require more than four coats to achieve full opacity, I can’t get enough of this polish! The holo is SUPER intense and the shade is so unique that it’s totally worth the multiple coats. This is my first full Glisten and Glow collection that I have swatched/reviewed and I am loving it! The formulas are great – easy to control, awesome dry time, and amazing leveling. The colors and names go perfectly together and the collection as a whole is so cohesive! My favorites would have to be Silver Streak, Grape Groove, and Hpnotiq Hurricane – followed closely by Midori Sour! As I stated above, this collection is currently available for purchase here with any out of stock colors being restocked tonight at 7PM EST. What are your thoughts on this collection? Which are your favorites? Let me know in the comments below!